One of nigella's simpler recipes. It gives a lovely silky gravy and i'm not quite sure how! 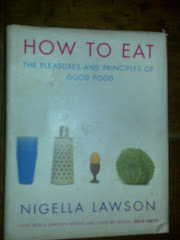 maybe its the caramelising of the onions or maybe the cooking in flour before adding the stock. 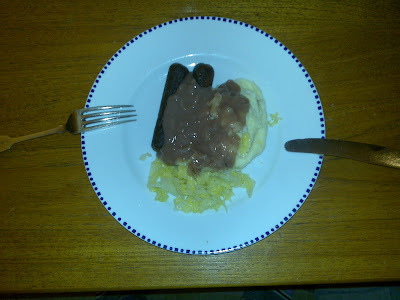 Either way, its pretty good gravy and great with sausages and mash, even though they were vegetarian sausages courtesy of Tara. - Cook 225g of thinly sliced onions in 30g beef dripping or oil for about 10 mins, or until soft, on a low heat. - Add 1 teaspoon cumin and cook for a further 5 mins. - Turn up the heat and add 1 tablespoon sugar, cooking for 3 mins to let the onions caramelise. - Add 2 tablespoons flour and continue cooking for 2 mins. - Add 500ml meat stock and 150 ml red wine, heat to boiling, then simmer for 20-30 mins, stirring occasionally. I would loved to have used beef dripping and meat stock, but i can only dream of what this would have tasted like. The vegetarian version was good enough though.